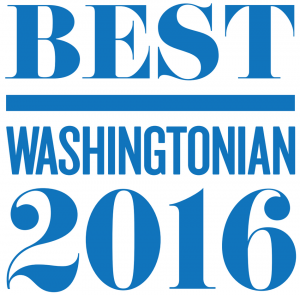 Home > Jeremy Lichtenstein Named One of Washingtonian’s Best Real Estate Agents! I’m proud of this recognition because it recognizes much more than just production volume and the amount of homes I have been fortunate to sell. Washingtonian Magazine sent out 16,000 surveys to recent home buyers asking them to rank their agents on a series of criteria, including integrity, market knowledge, and negotiation skills. They also called mortgage brokers and settlement attorneys to ask whom they enjoy most doing business with and whose clients always seem happiest. Based on many layers of reporting, they came up with 99 names, one of which is mine. I appreciate all of the clients and peers who responded to these surveys and reporting positively, and recognize that it’s not just about getting a job done; but about making the huge task of selling or buying a home as stress-free as possible for everyone involved. Be sure to pick up a copy of the July 2016 issue of Washingtonian Magazine, where I have been named a top real estate agent in the DC Metro Area!